The essence of French Provincial signature colours, textures, furnishings and homewares are beautifully displayed in this book and will influence an easy transition to your living space. You will learn how to choose the key ingredients which bring the charm and romance of the French Provincial style into your own home. 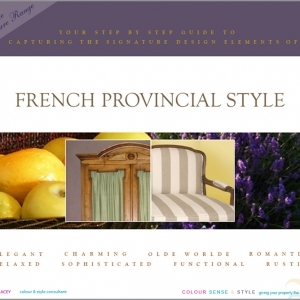 This style is evocative of the French farmhouse and country life but with the sophistication of town living. 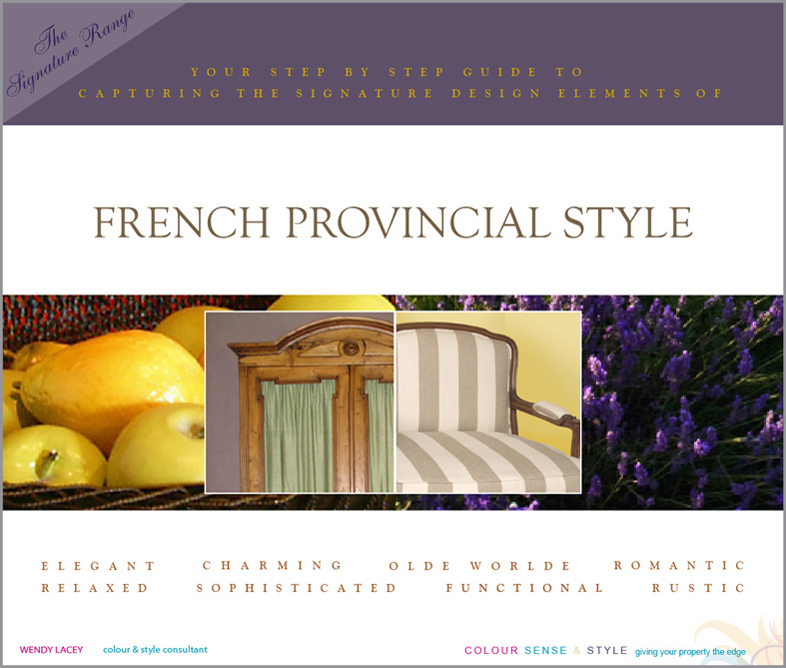 It is simple and warm, sophisticated without being pretentious. 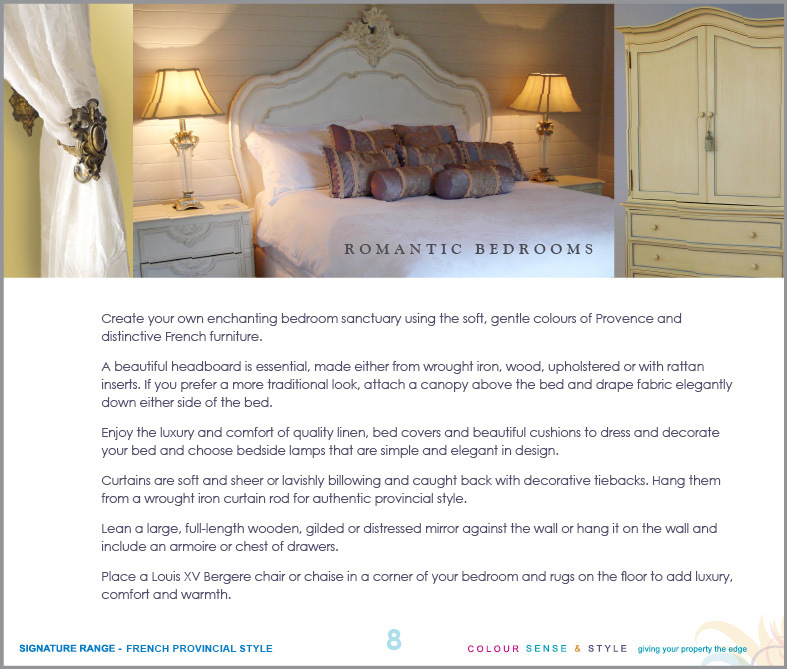 Includes: Introduction, Colours of Provence, Chandeliers candelabras candlesticks, Toile Florals Checks & Vertical Stripes, Voluptuous Furniture, Provincial Accents, Elegant Living Areas, Romantic Bedrooms, The Heart of the Home – the Kitchen, Dining Outdoors and Resource Guide. 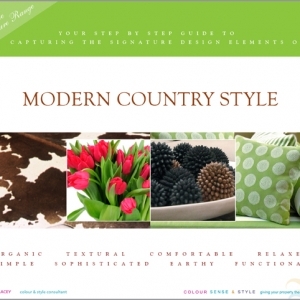 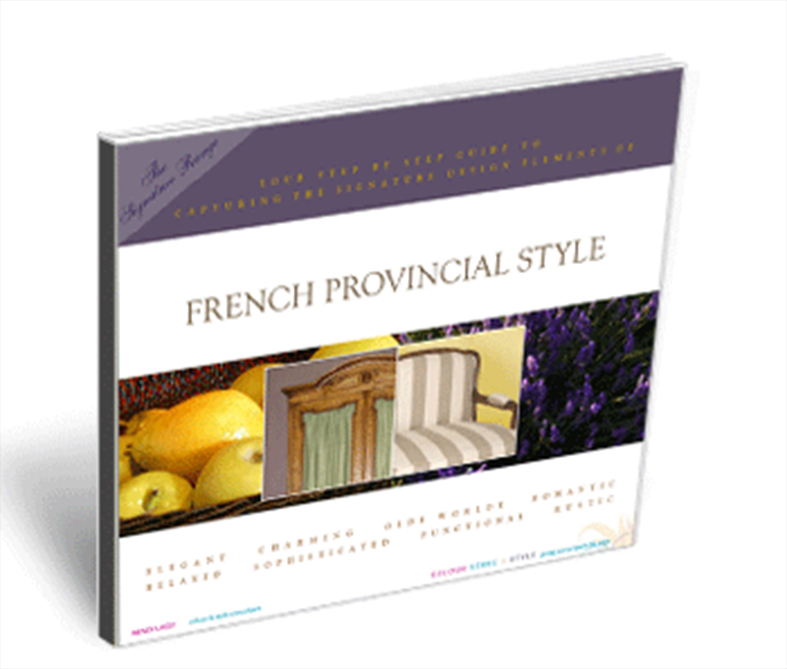 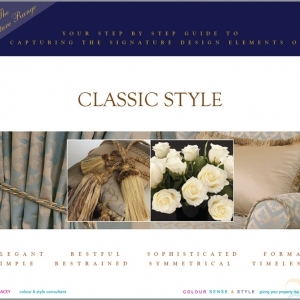 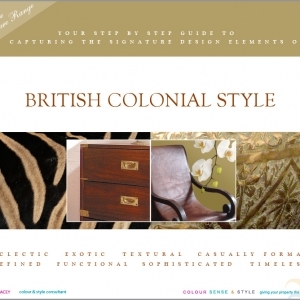 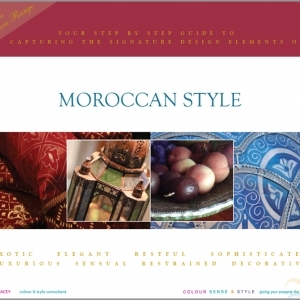 Overall 14 pages of the colour, sense and style of French Provincial Style.